Production Toyota C-HR due at Geneva show | What Car? The Toyota C-HR will be revealed in production form at the 2016 Geneva motor show, the company has confirmed. The concept version was first revealed at the 2014 Paris motor show, before a tweaked version was shown at the 2015 Frankfurt show. The all-new crossover is intended to be a rival to the likes of the Nissan Juke, and will go on sale before summer next year. The most recent concept version of the car came with five doors, while the original only had three. As the Frankfurt car was said to be much closer to the production version, it is likely that the final model will only come with five doors. The C-HR will be based on Toyota's TNGA (Toyota New Generation Architecture) platform, which is being used for the first time in the new Prius. 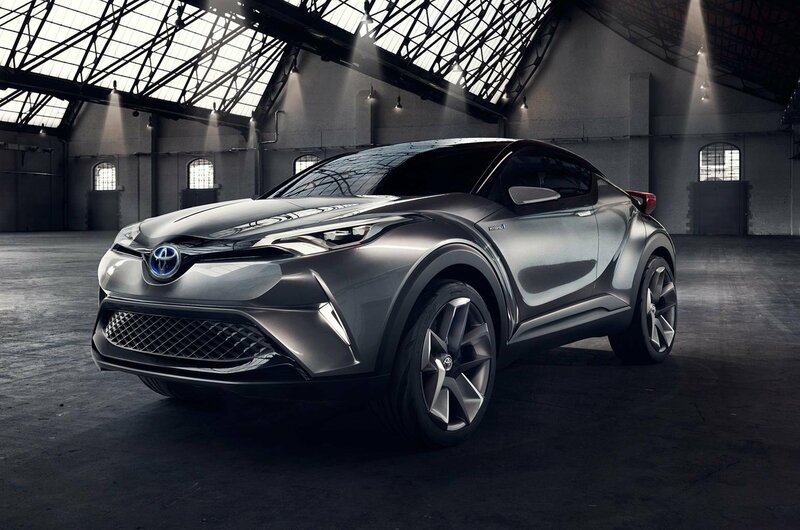 Toyota has also confirmed that the C-HR will be offered as a hybrid; the firm claims it will be the first hybrid model in its class, although it does not state whether conventionally powered versions of the C-HR will also be available. It is also expected to be powered by a four-cylinder engine, with a CVT gearbox. It's expected to be the same size as a Nissan Juke but will offer interior space that rivals the Qashqai's. Toyota says that the C-HR heralds a new design approach for the brand, with a diamond styling theme, floating rear light clusters and muscular, curved lines.